We brought a Blueberry Stem Gall into the house from out in the cold, snowy woods. 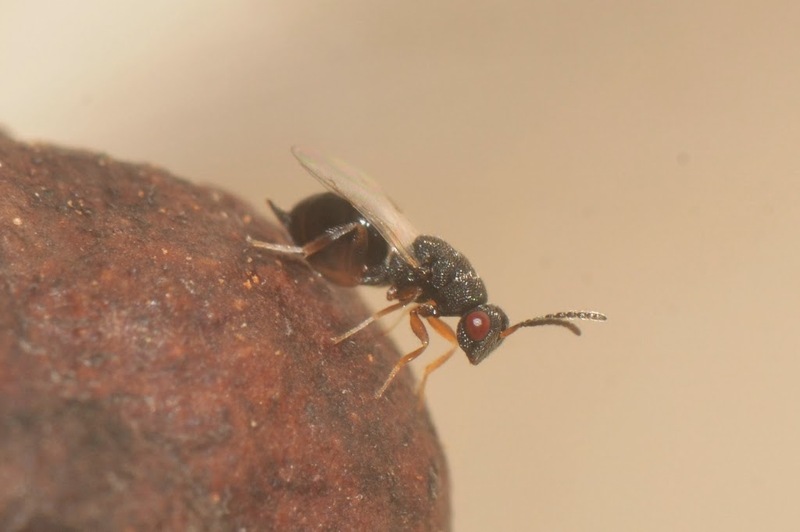 About a month or so later we witnessed the emergence of about a dozen miniscule wasps from the woody little gall. 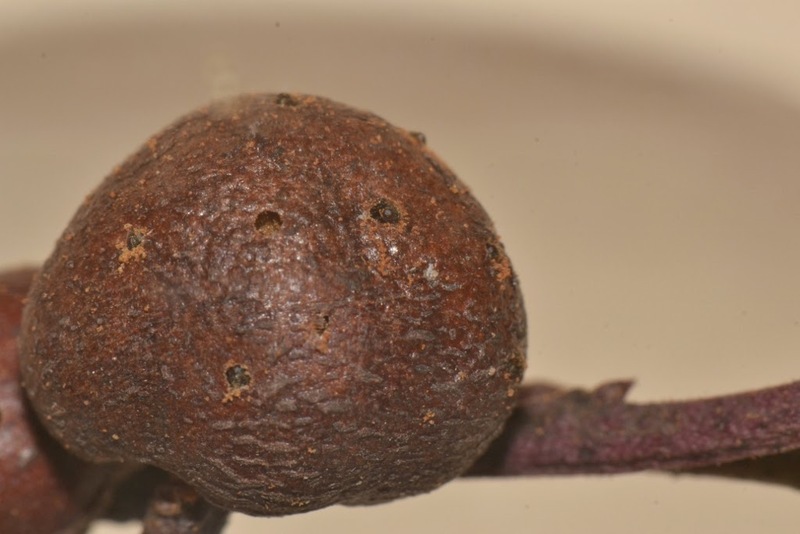 These gall wasps were not much bigger than a pinhead. 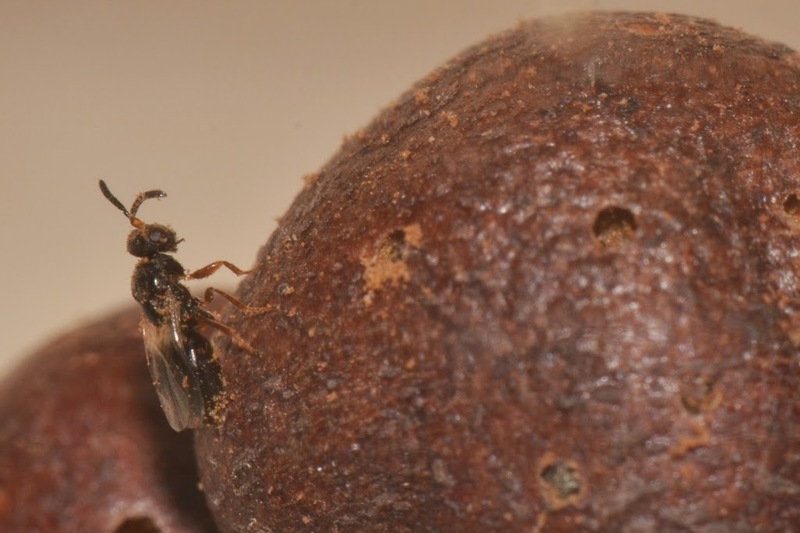 I think most of the wasps that emerged were Blueberry Stem Gall Wasps - Hemadas nubilipennis. What a sight to see those wasps working to extricate themselves from their gall. 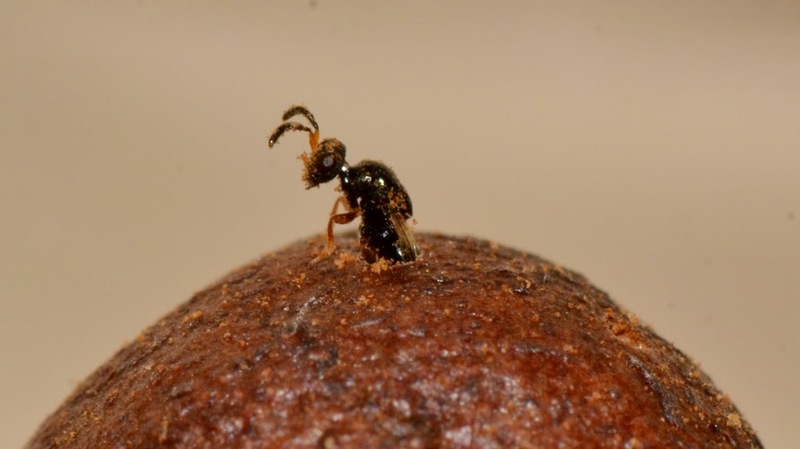 In this photo, the Blueberry Stem Gall Wasp struggles to pull its abdomen through the hole it made in the gall. 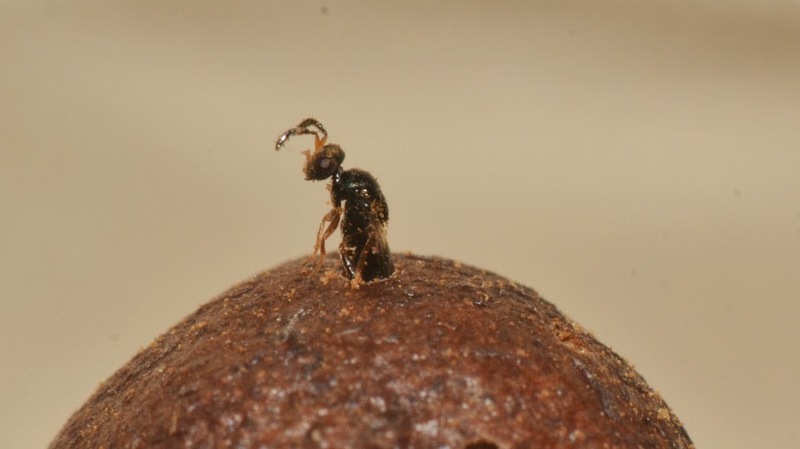 There were at least two other species of wasps that emerged from this gall. 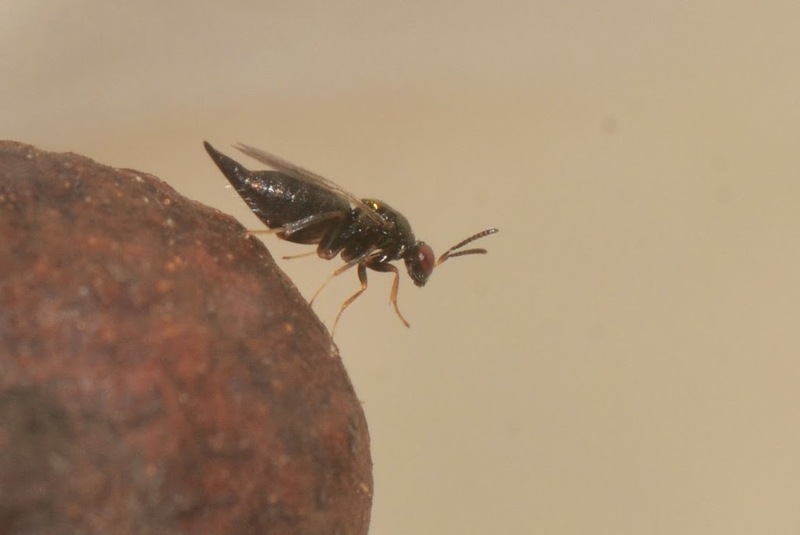 These are two species of the six that are parasitoids of the Blueberry Stem Gall Wasp. 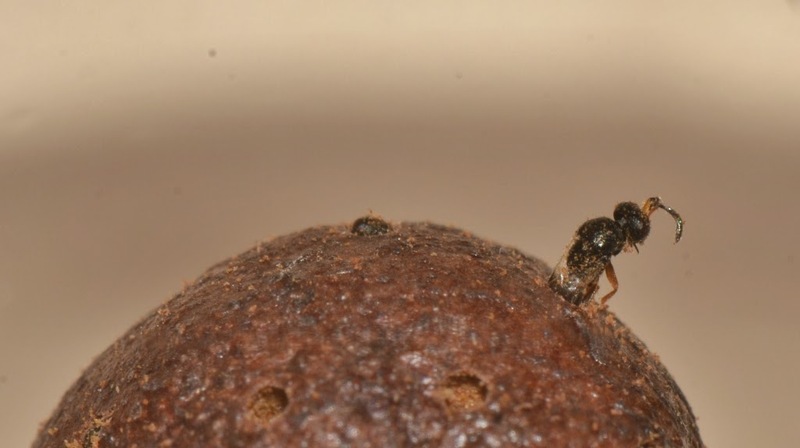 One of the parasitoids that emerged from the gall is pictured here. 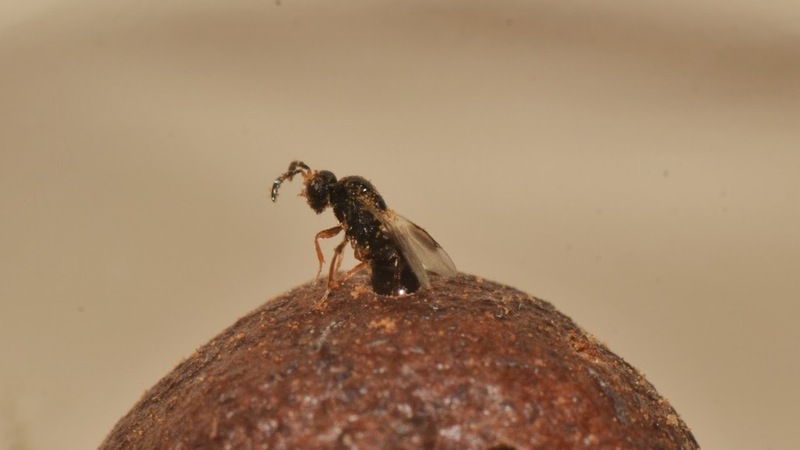 Here is another parasitoid of the Blueberry Stem Gall Wasp. 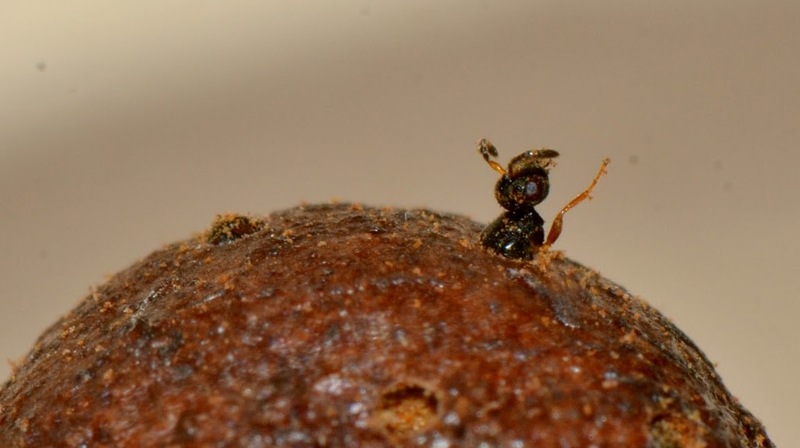 Here is a photo of the Blueberry Stem Gall with least eight wasps working to get out of the gall. Notice how the galls form on ends of the blueberry shoots (these were lowbush blueberry bushes). Sure is entertaining and educational to rear galls by bringing them in from the cold.